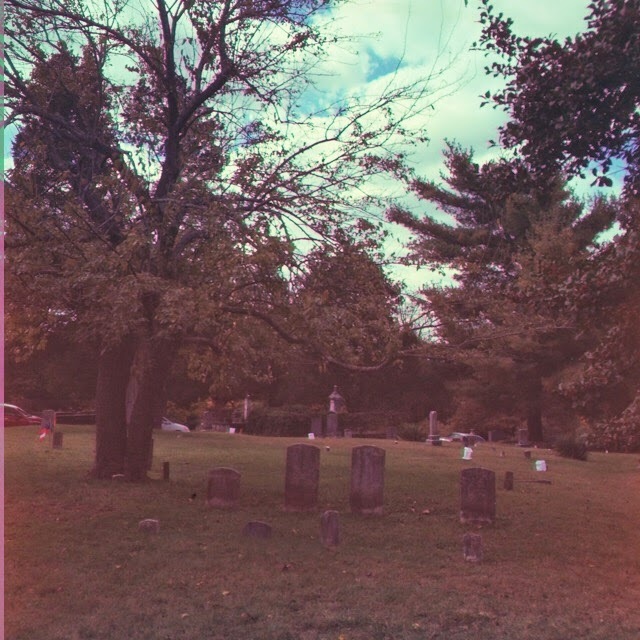 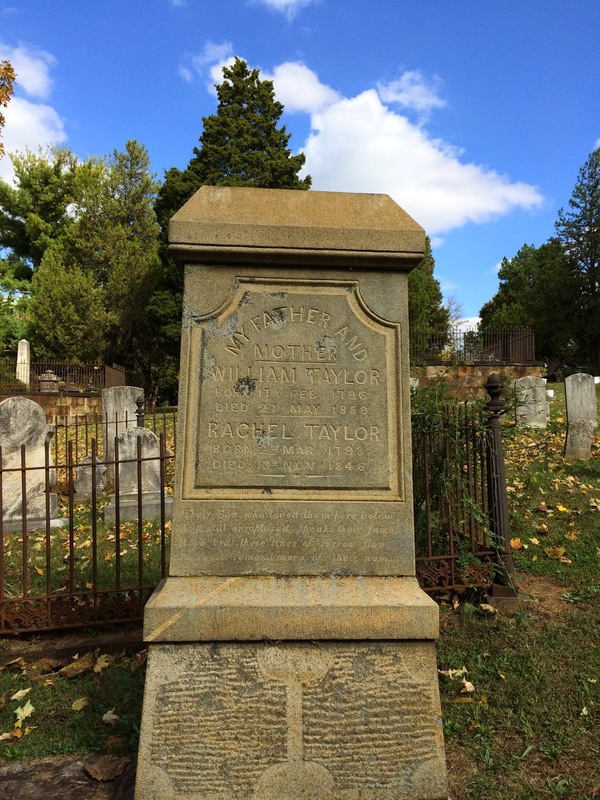 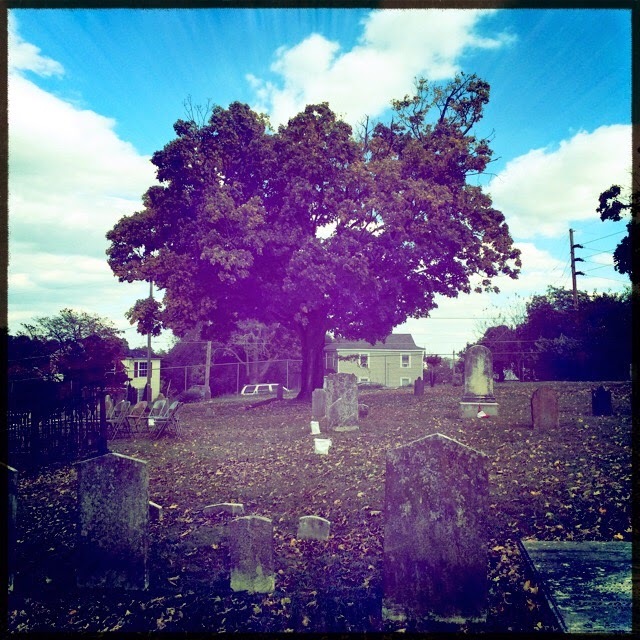 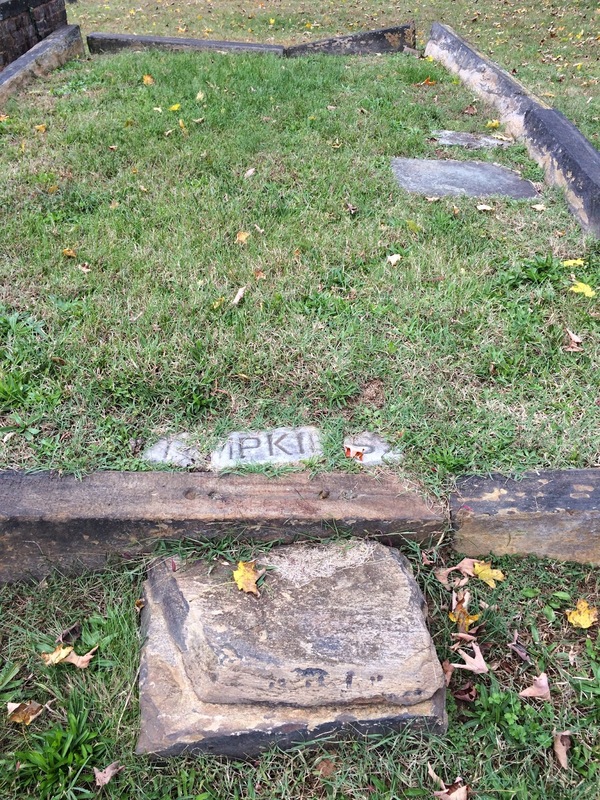 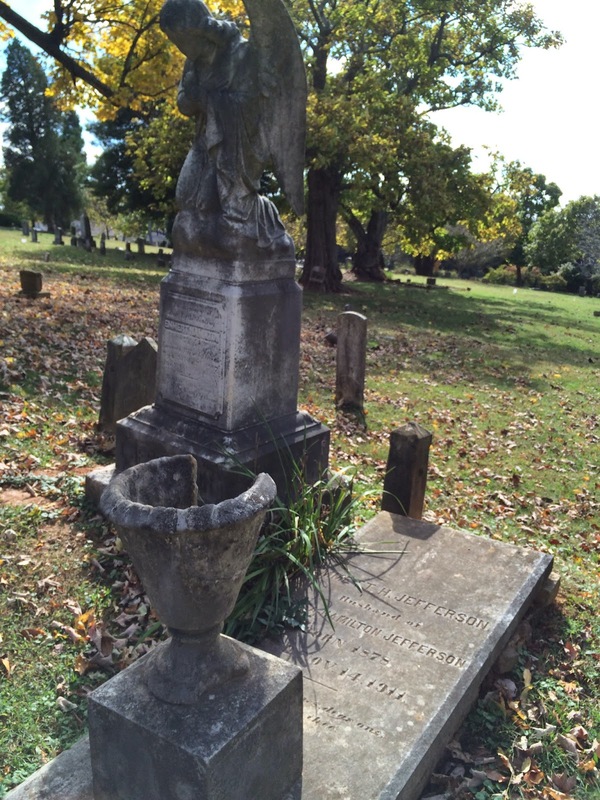 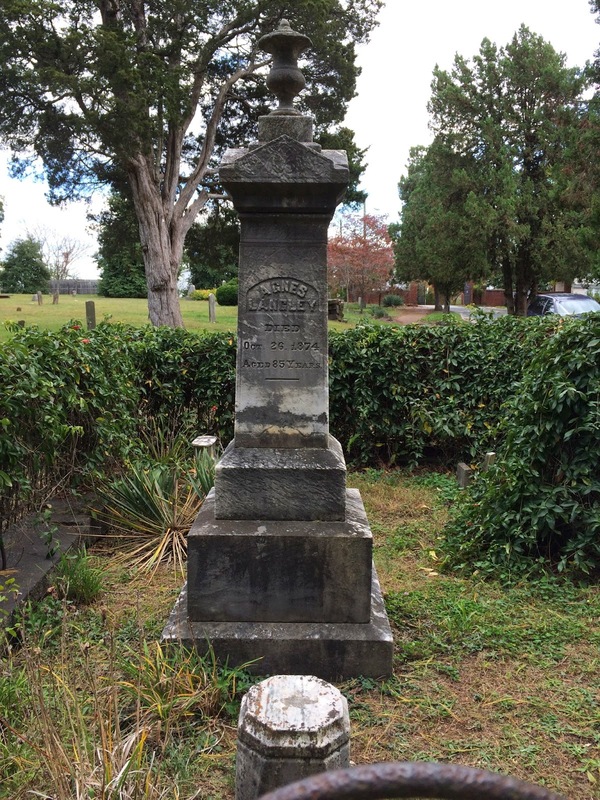 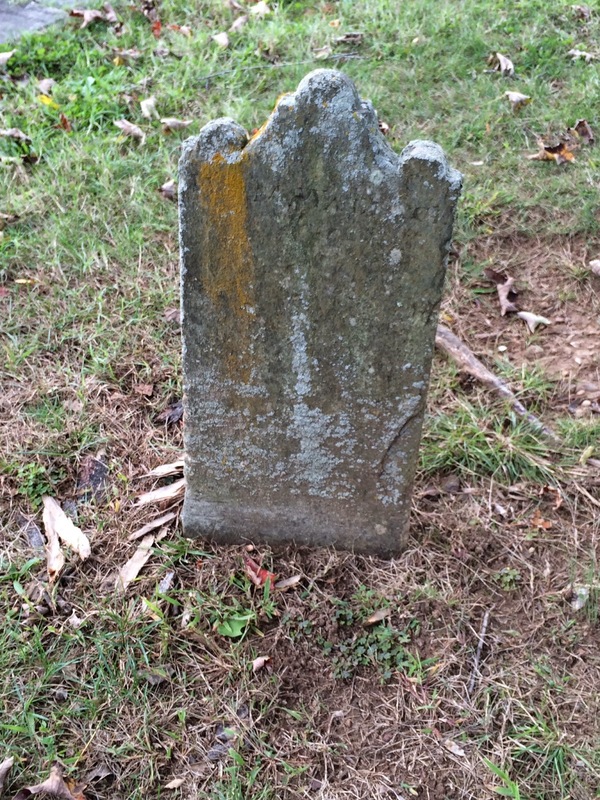 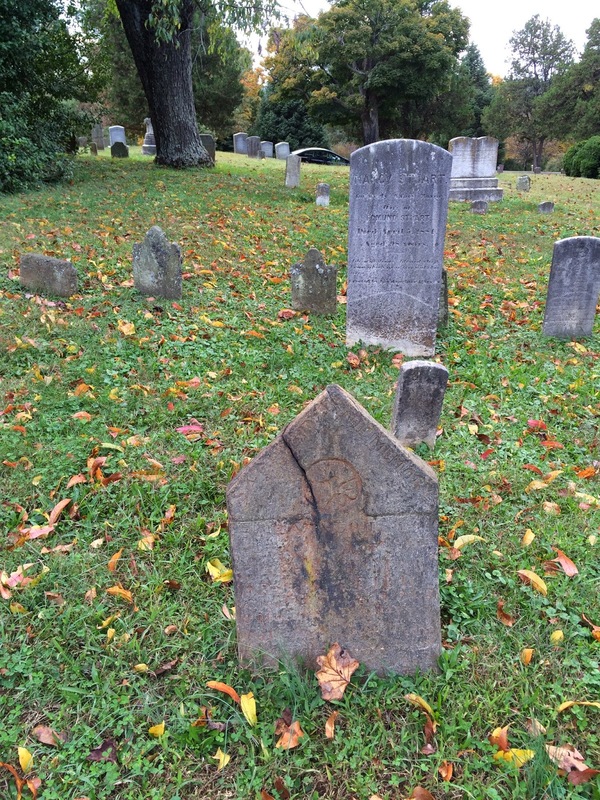 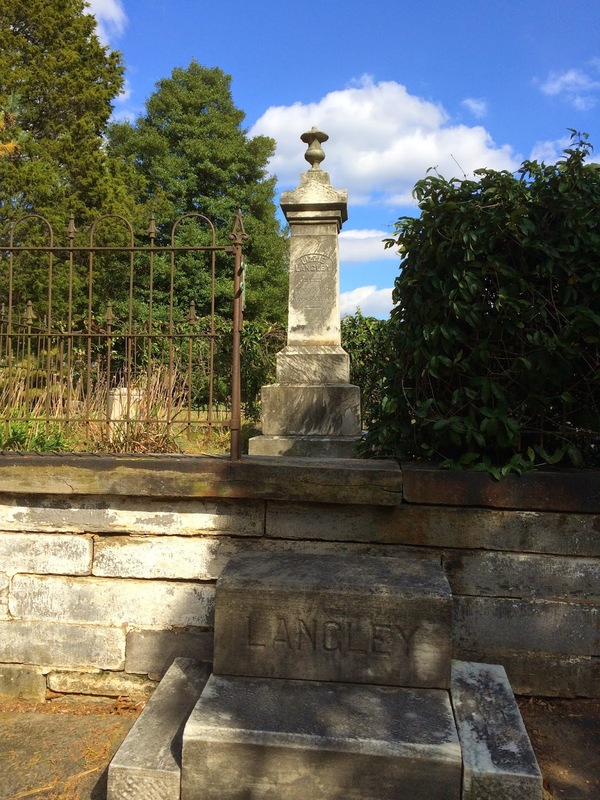 Before stopping by Spring Hill my first destination in Lynchburg last weekend was Old City Cemetery. 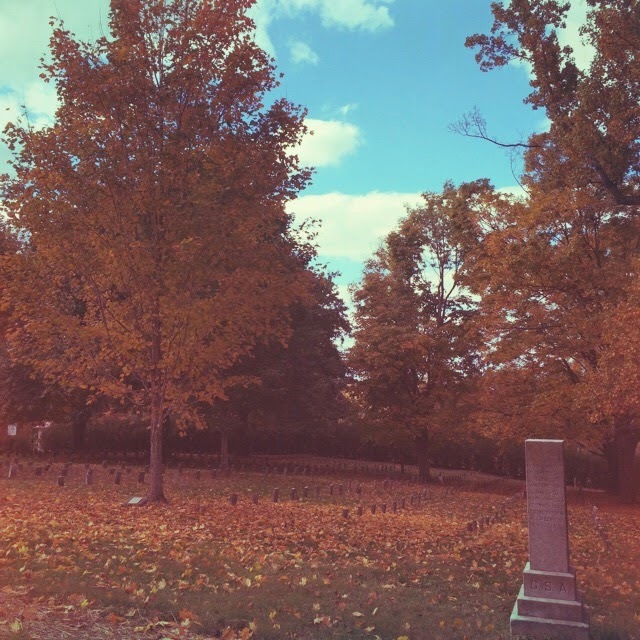 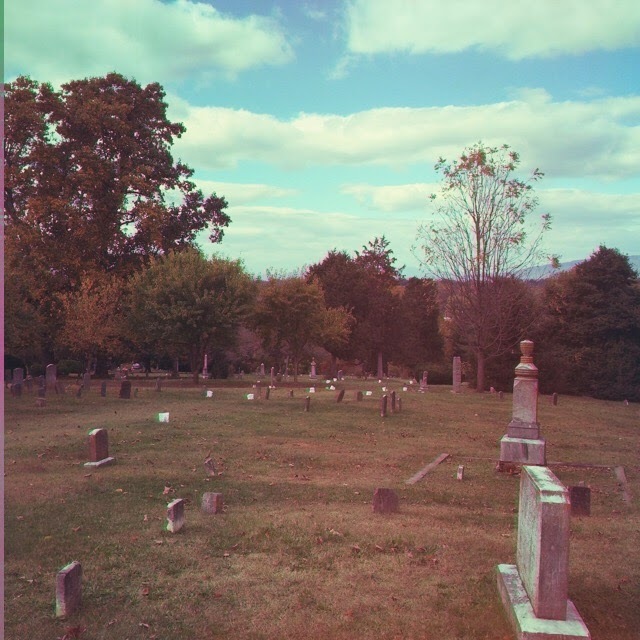 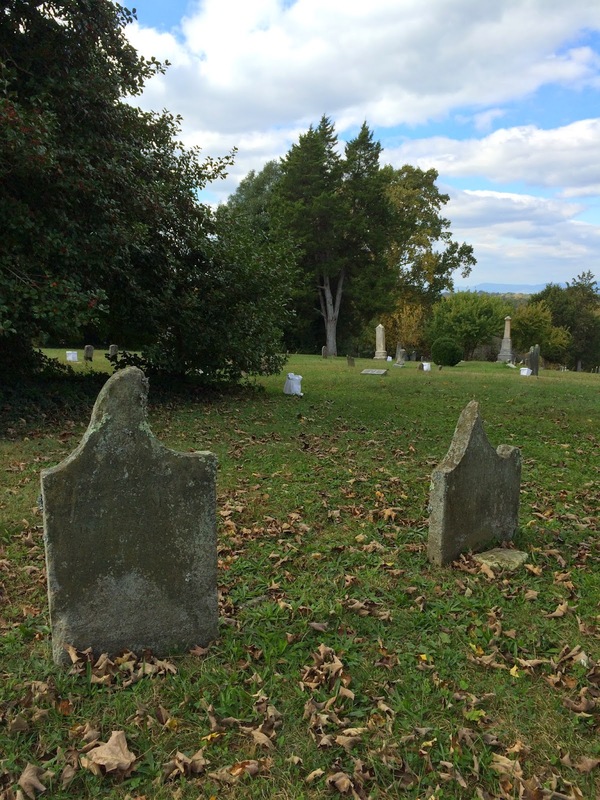 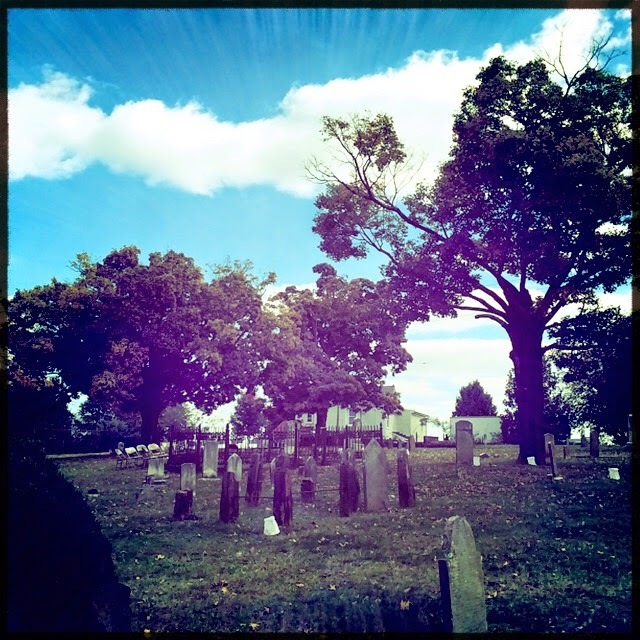 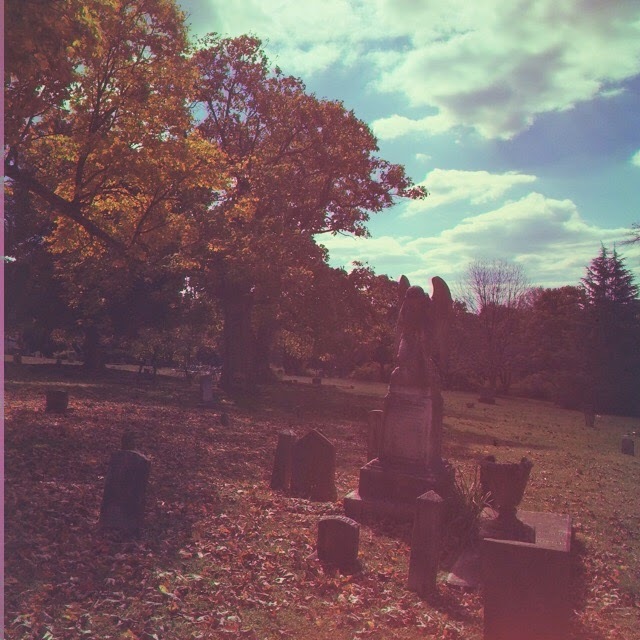 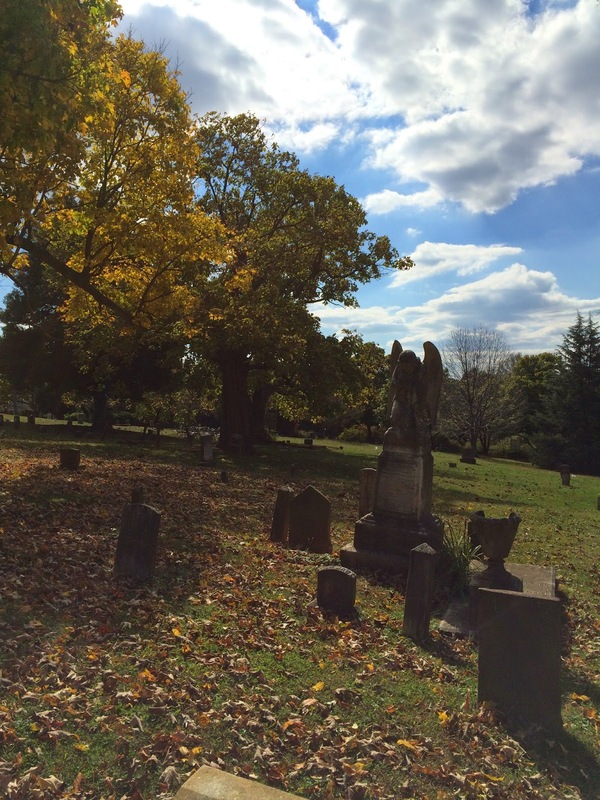 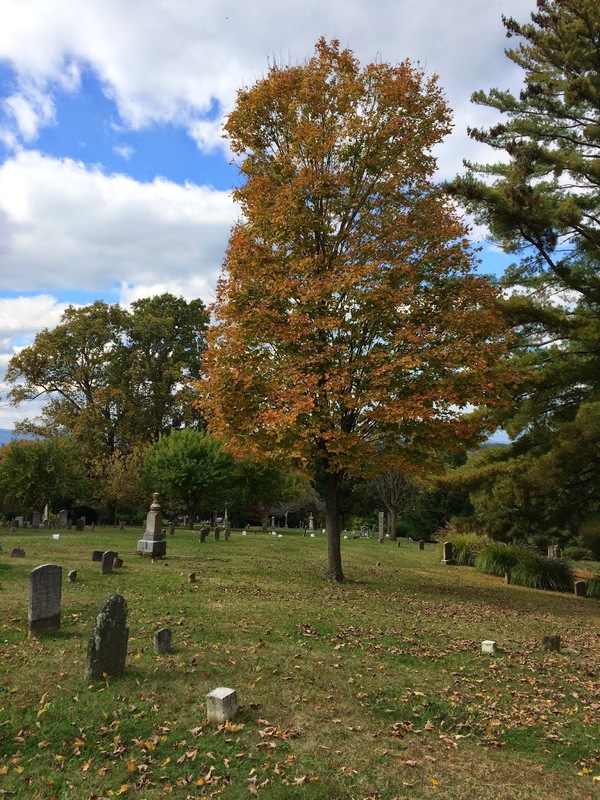 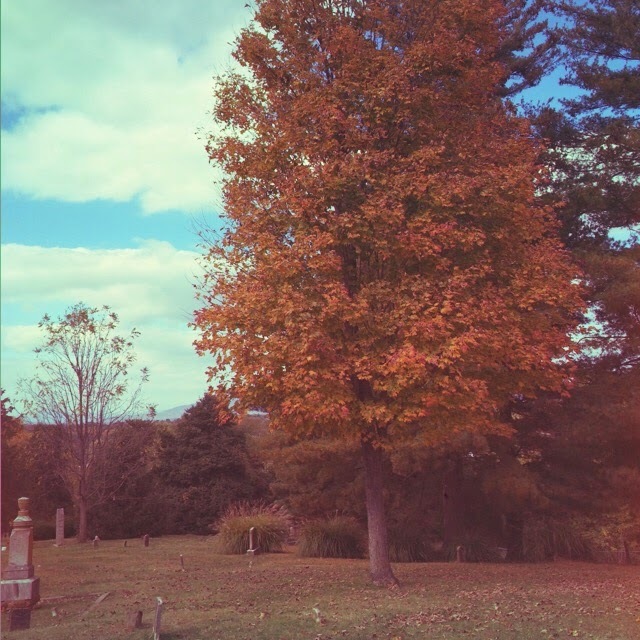 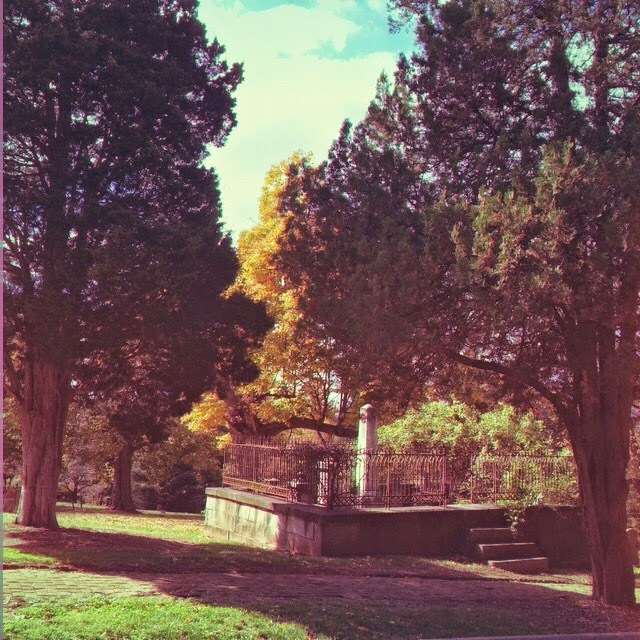 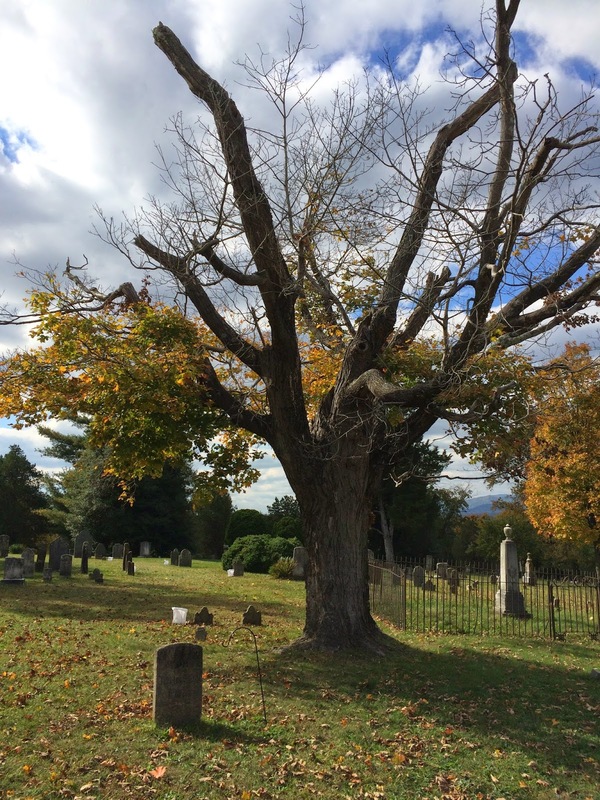 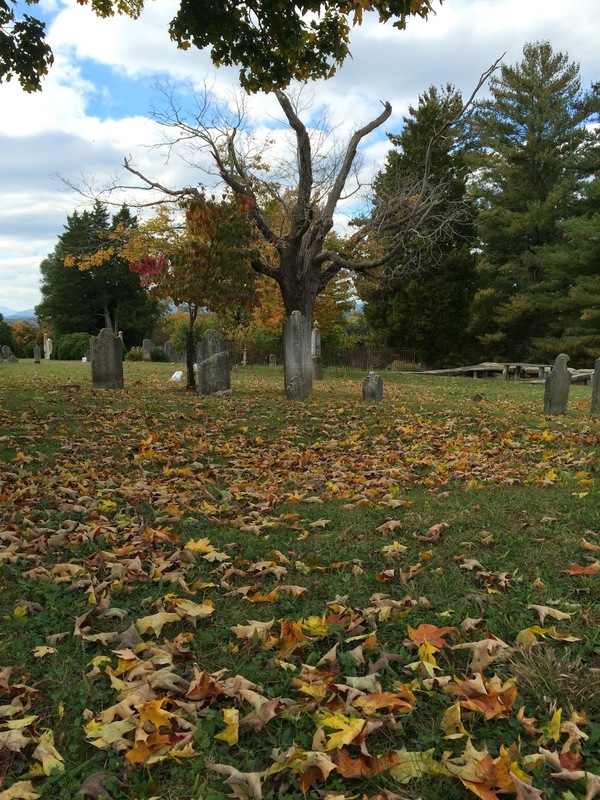 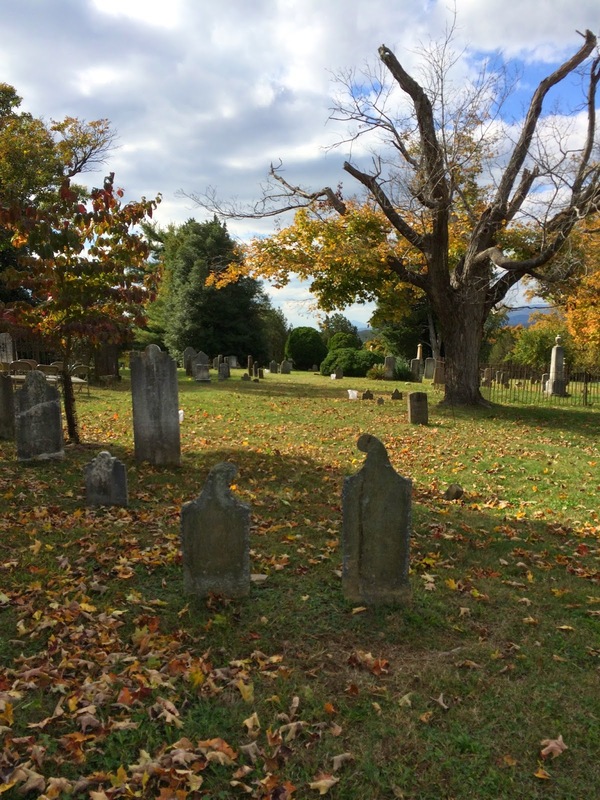 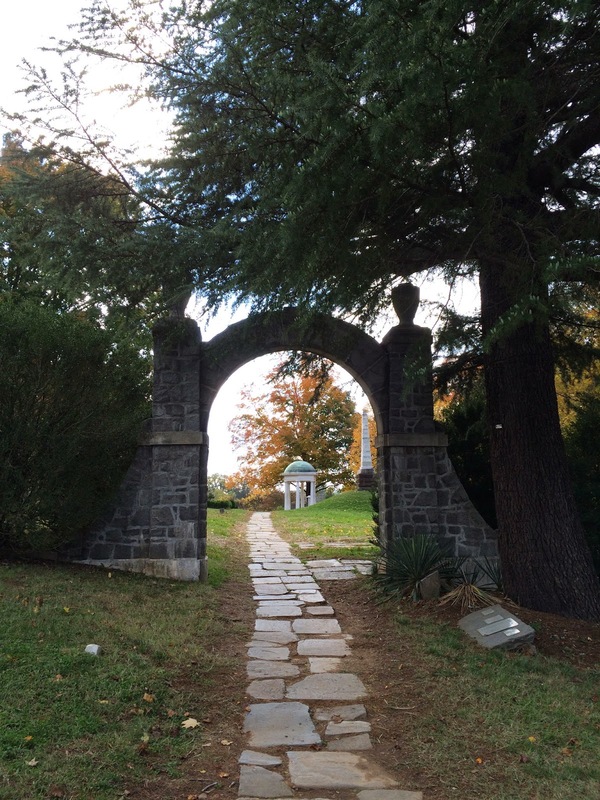 Longtime readers here probably recall some of my previous excursions to OCC, which I consider to be one of Virginia’s loveliest burial grounds. 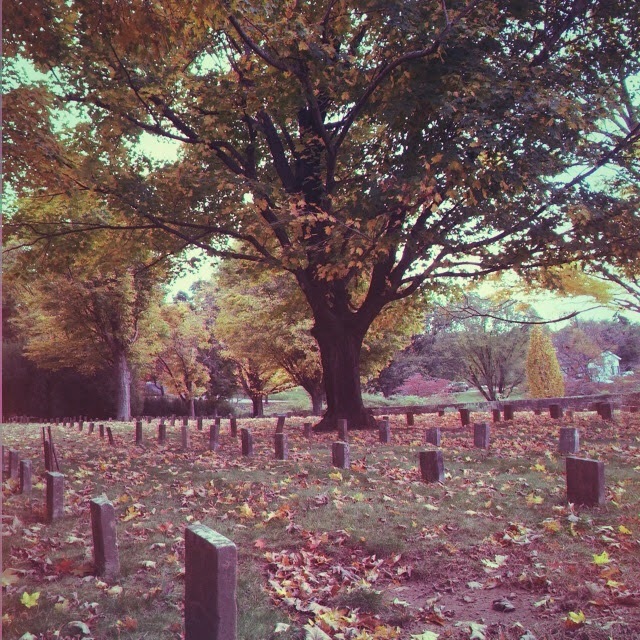 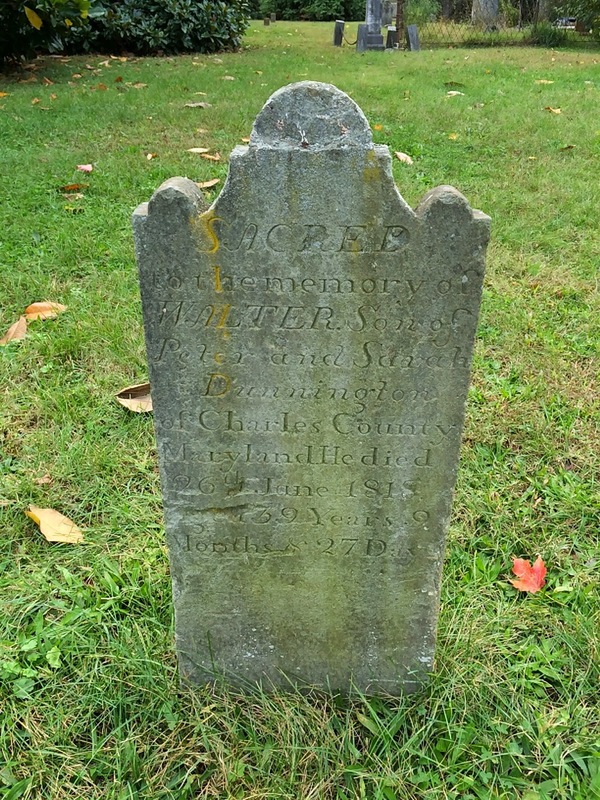 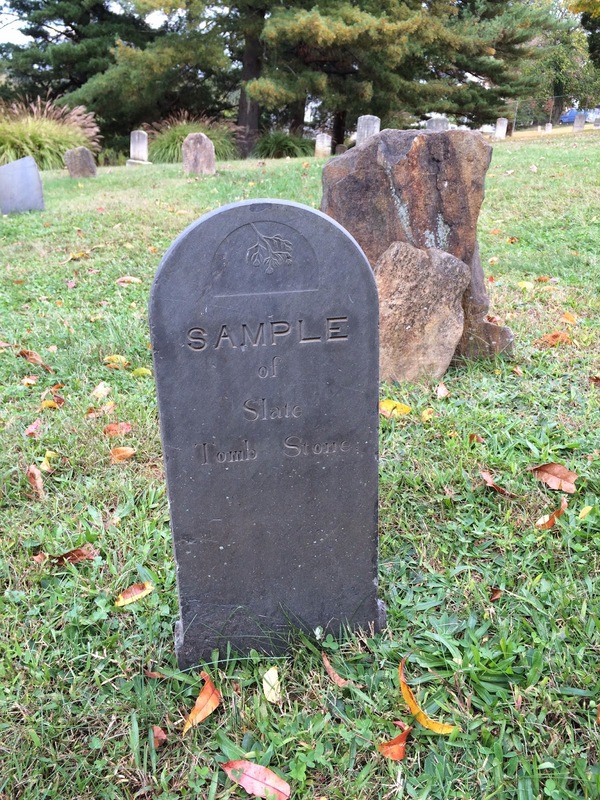 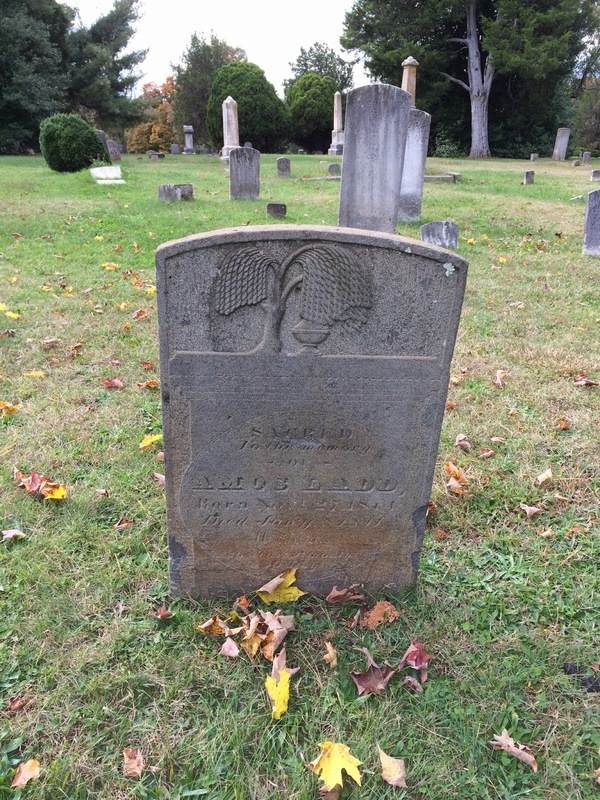 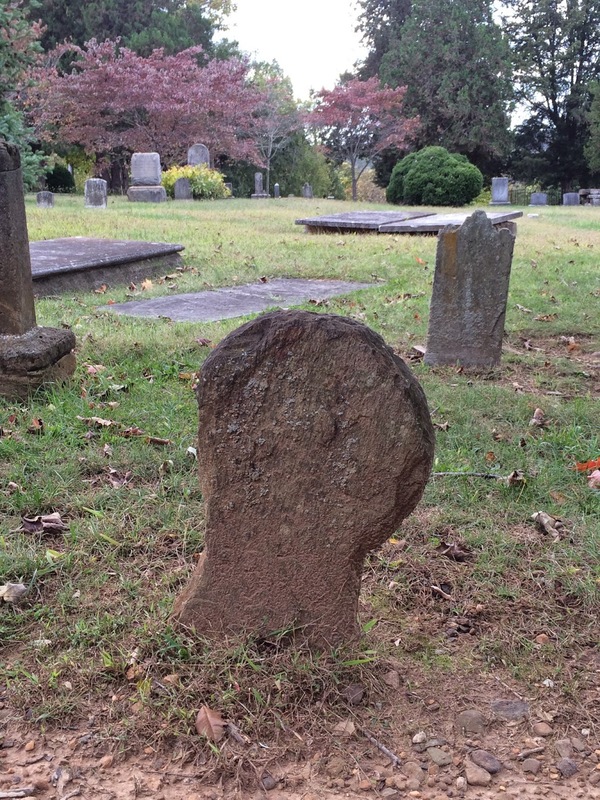 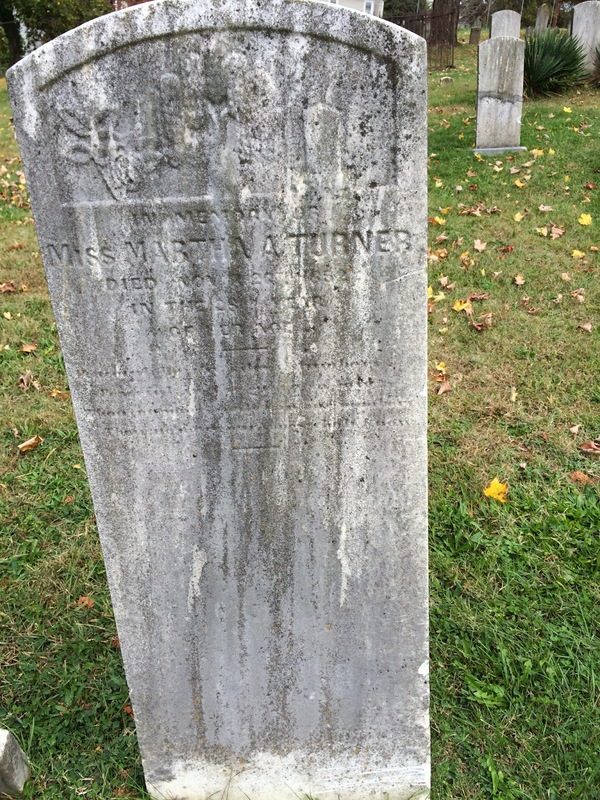 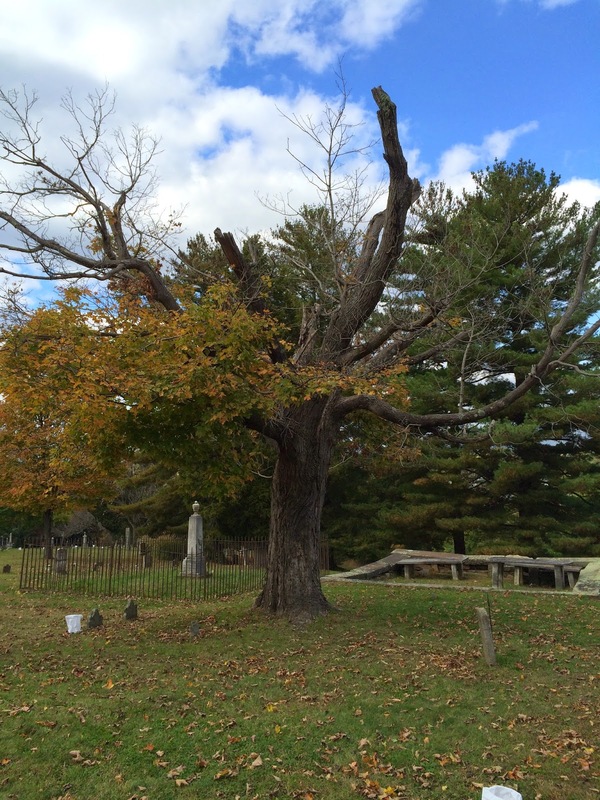 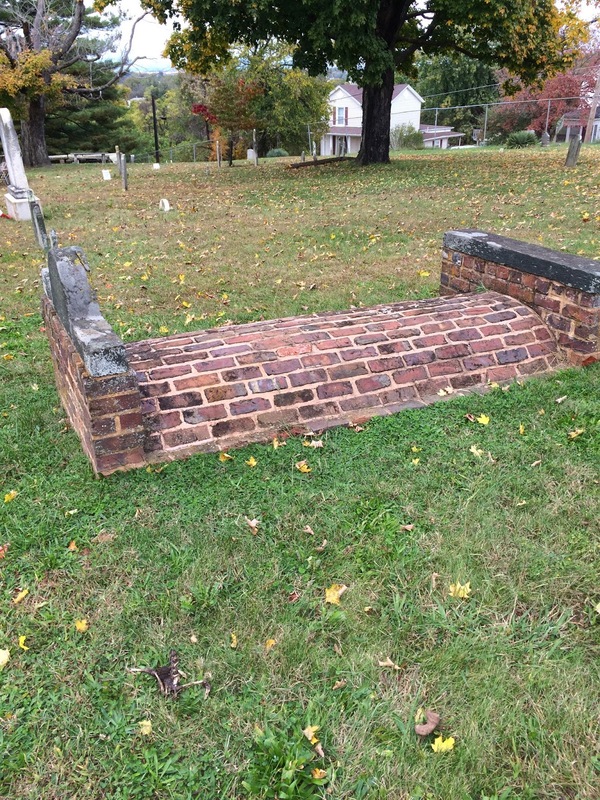 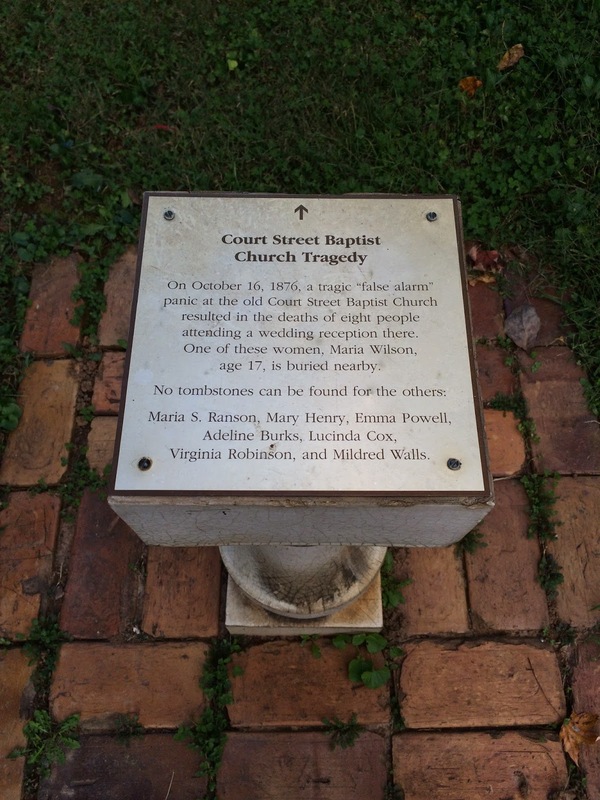 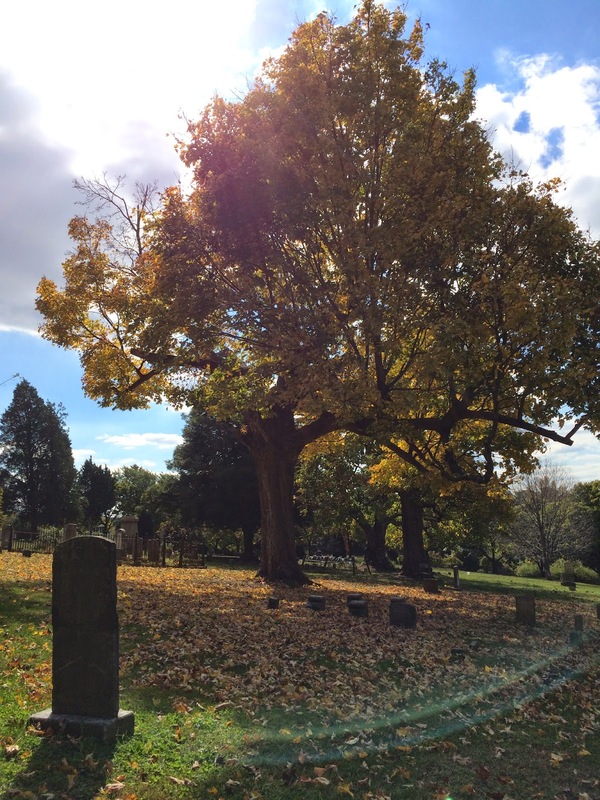 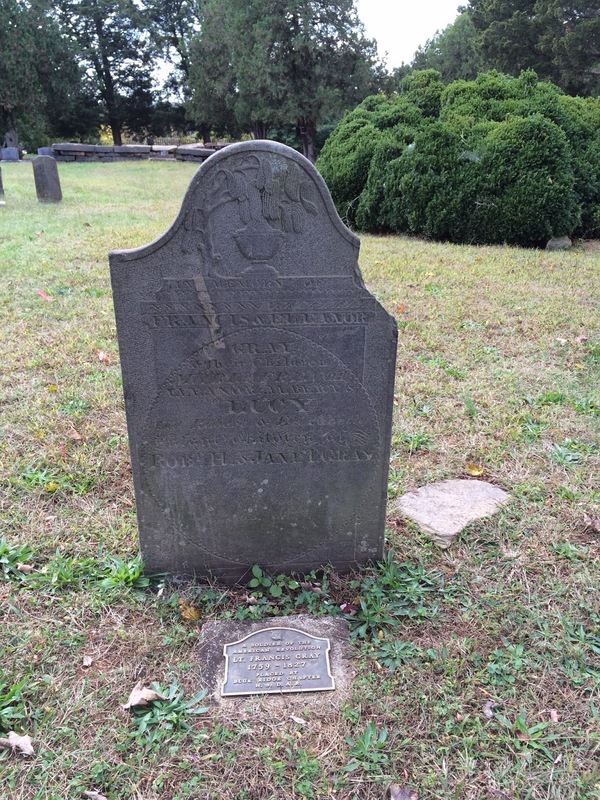 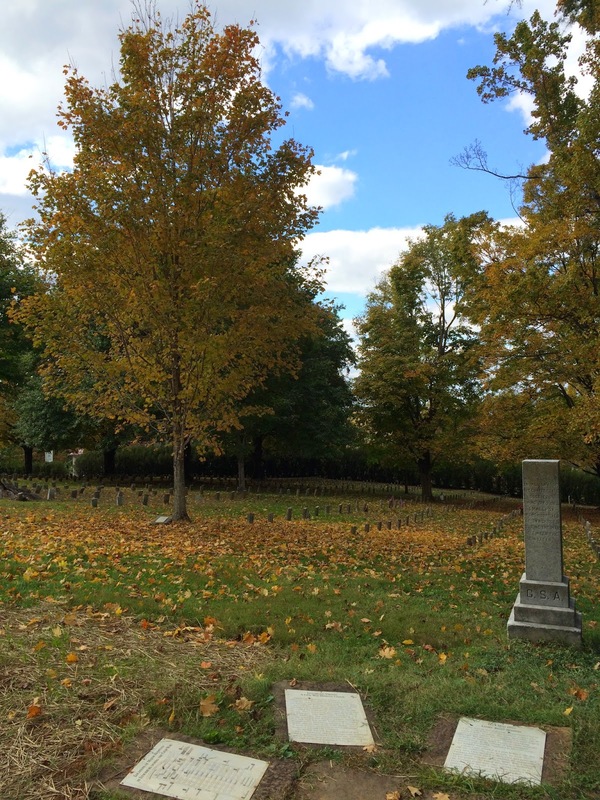 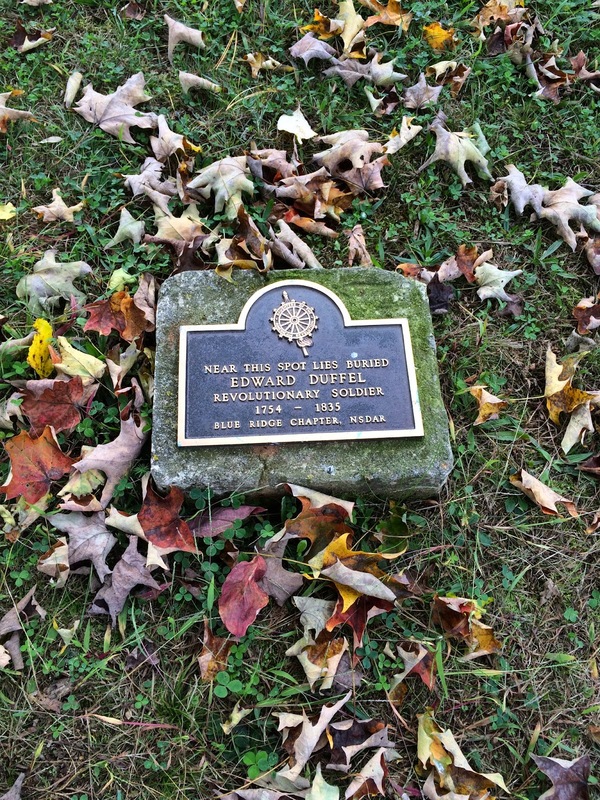 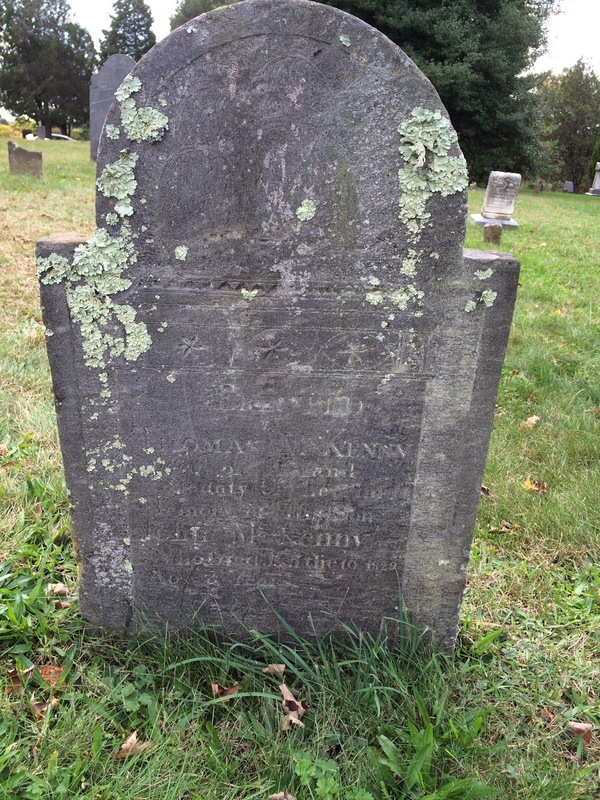 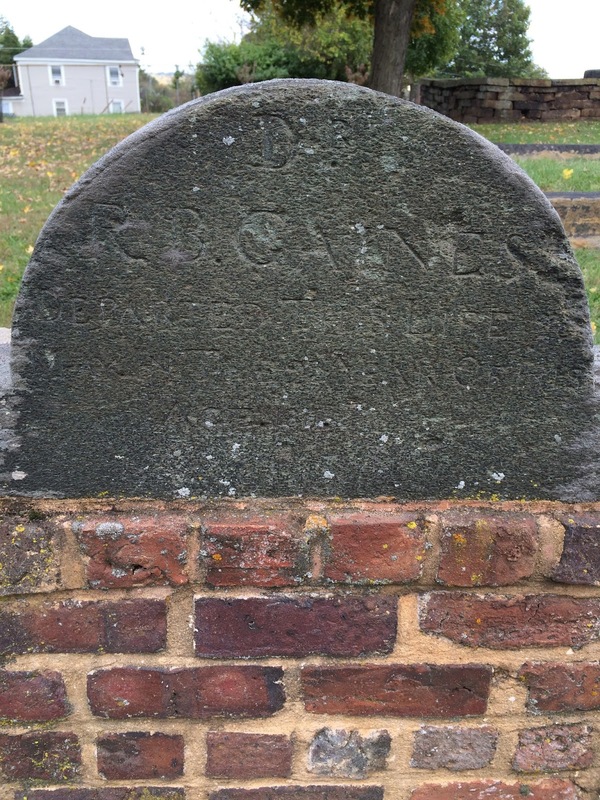 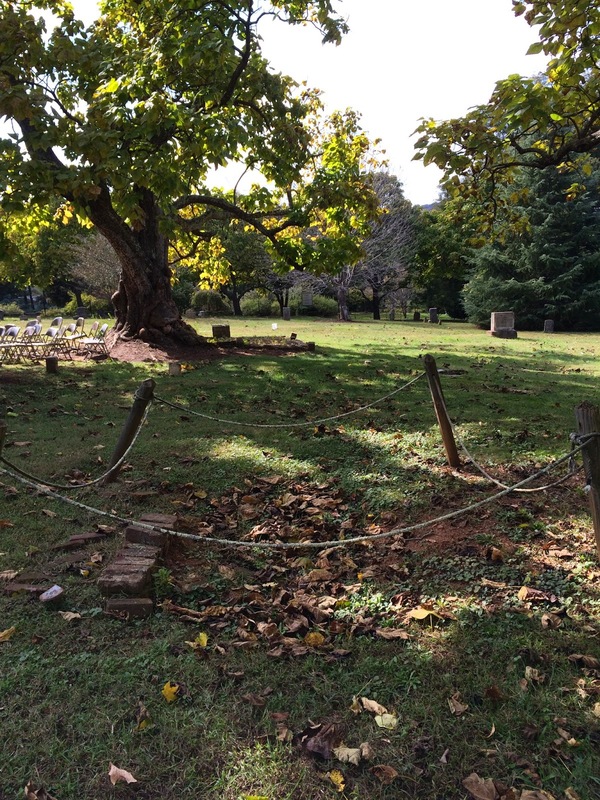 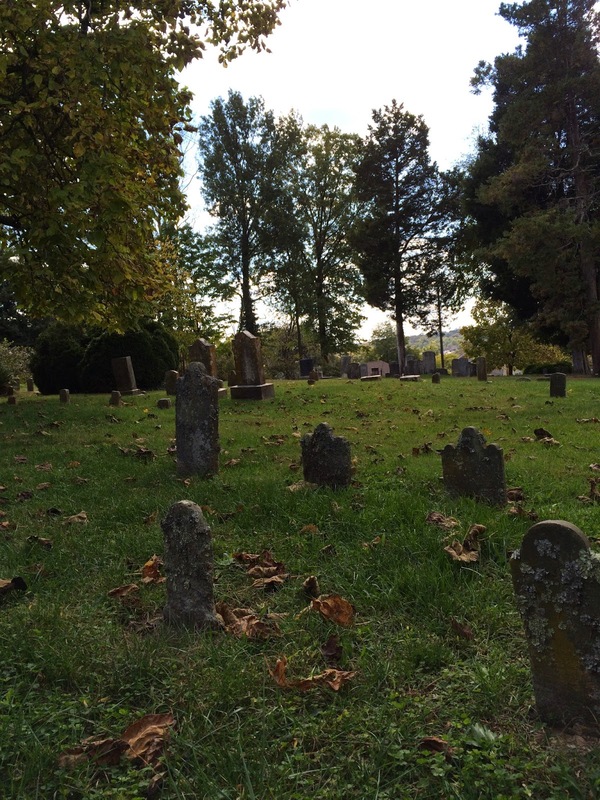 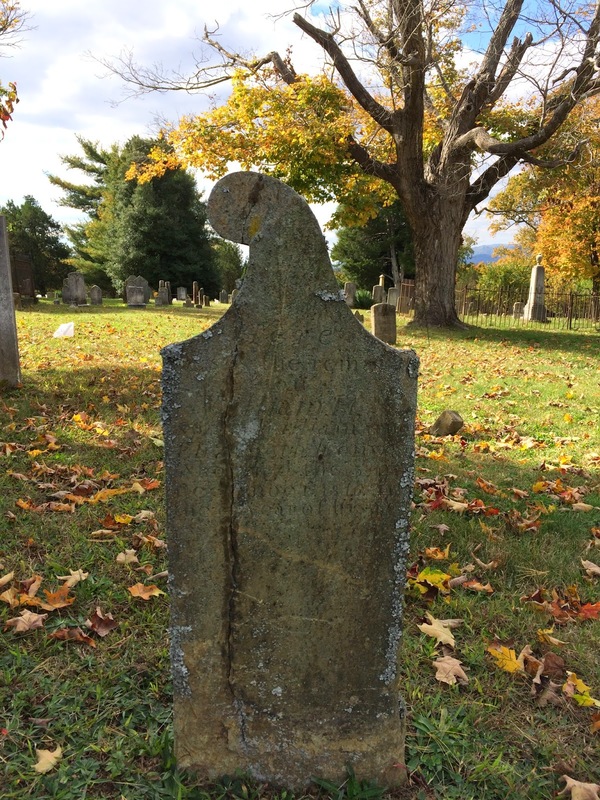 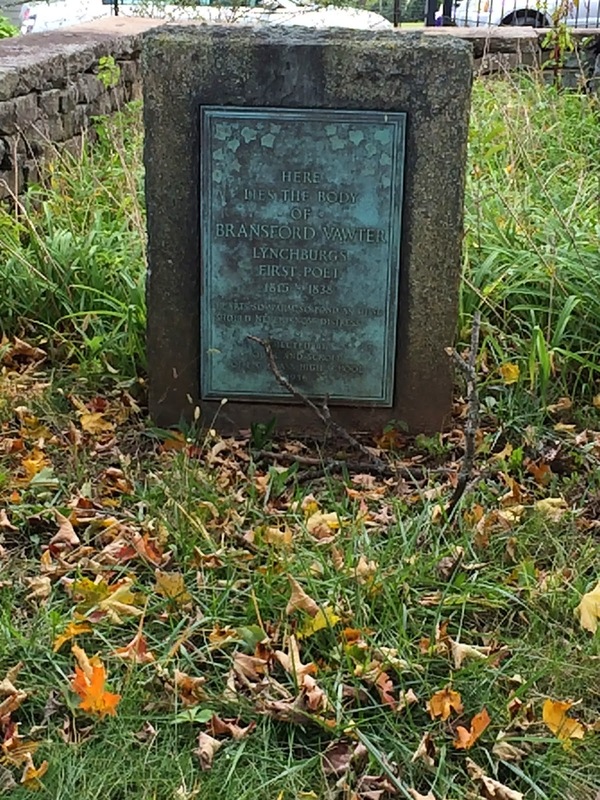 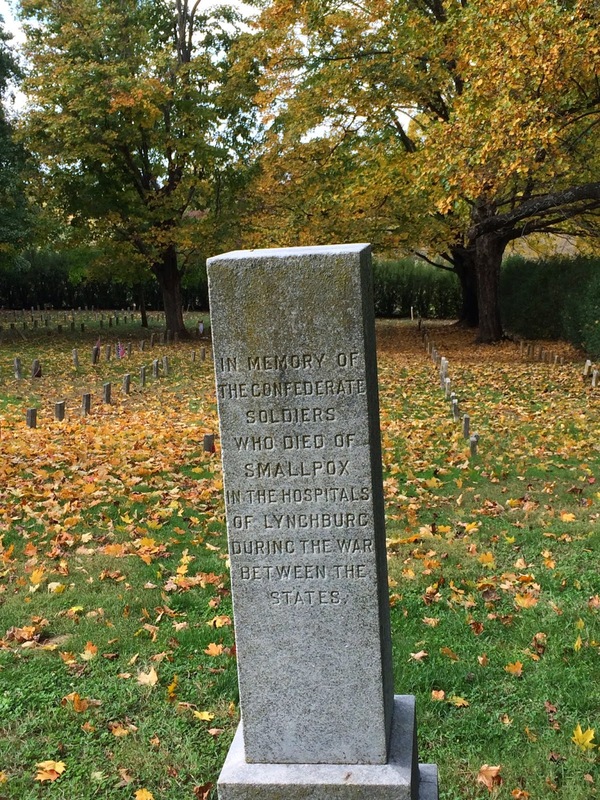 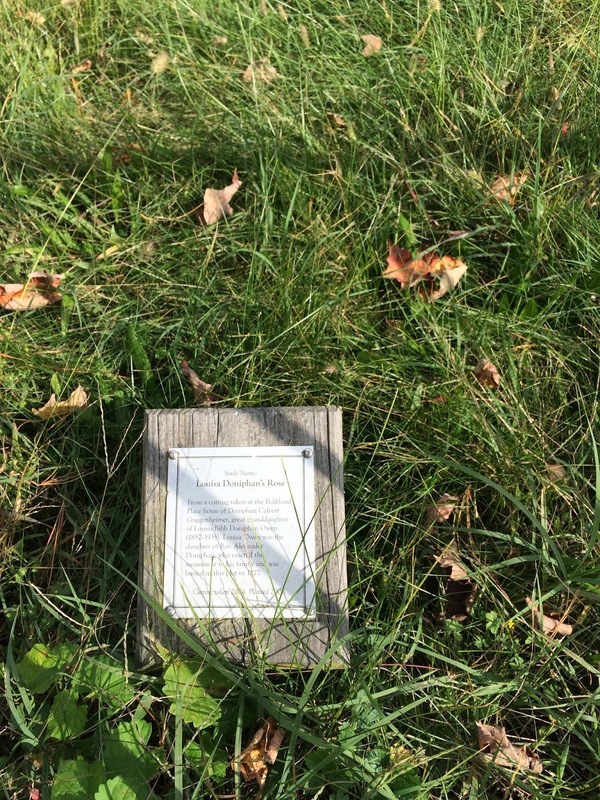 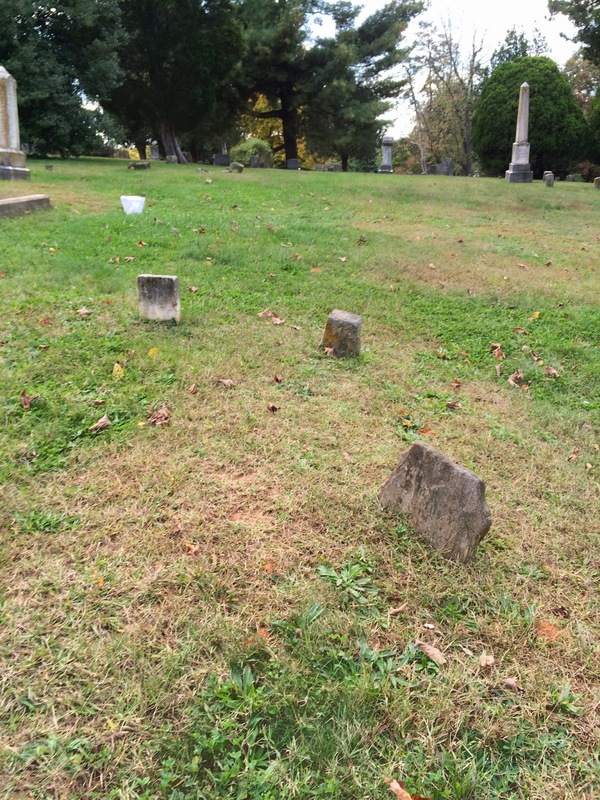 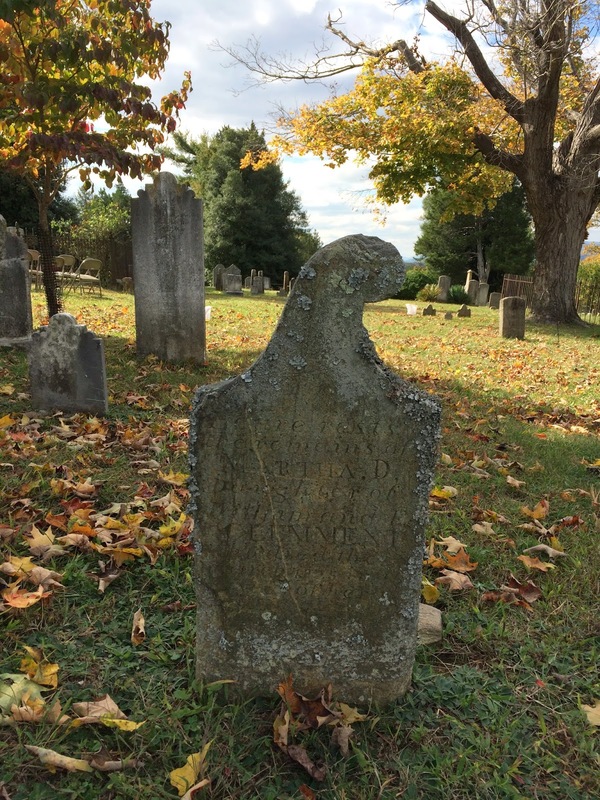 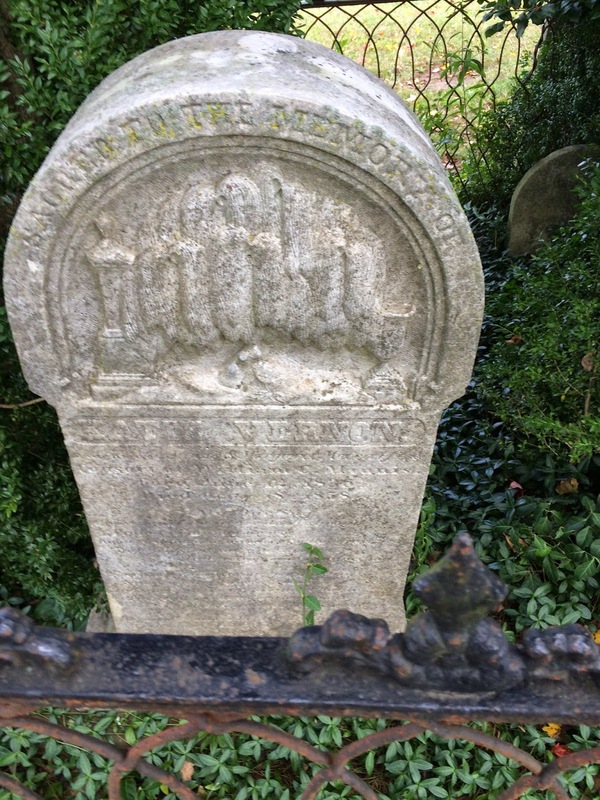 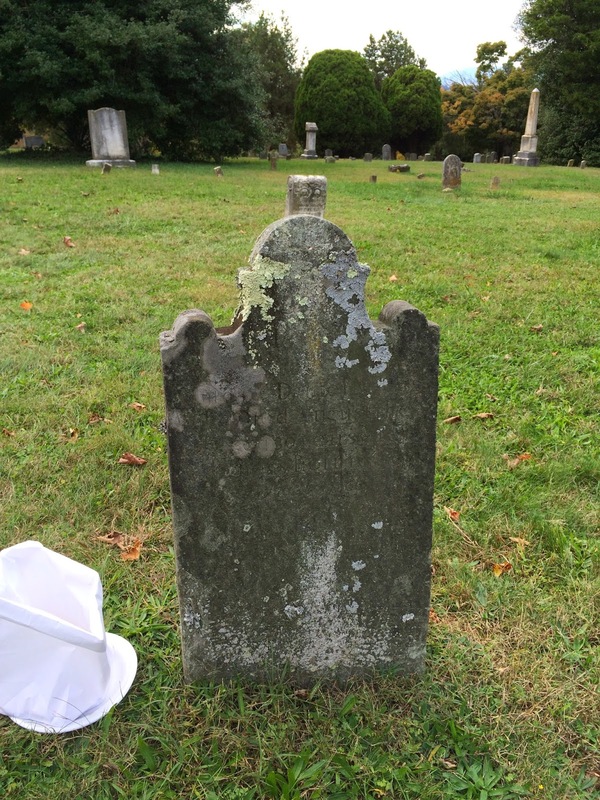 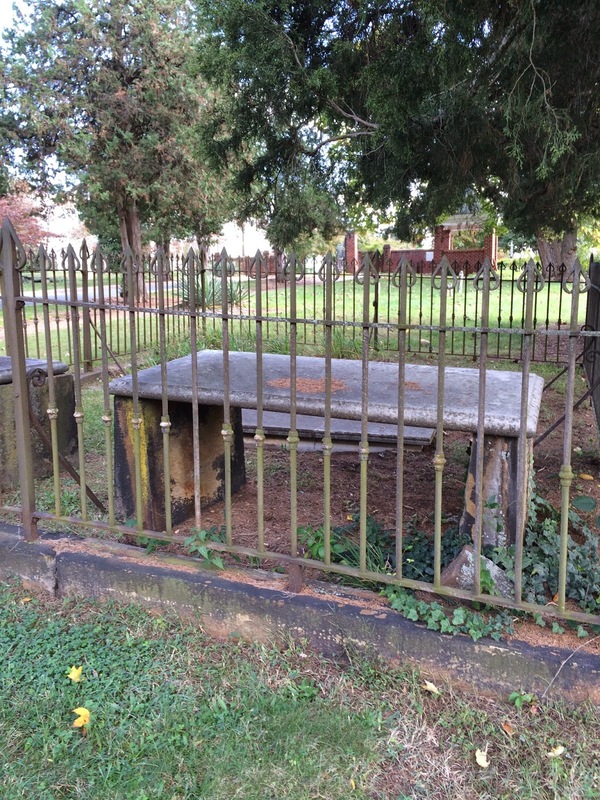 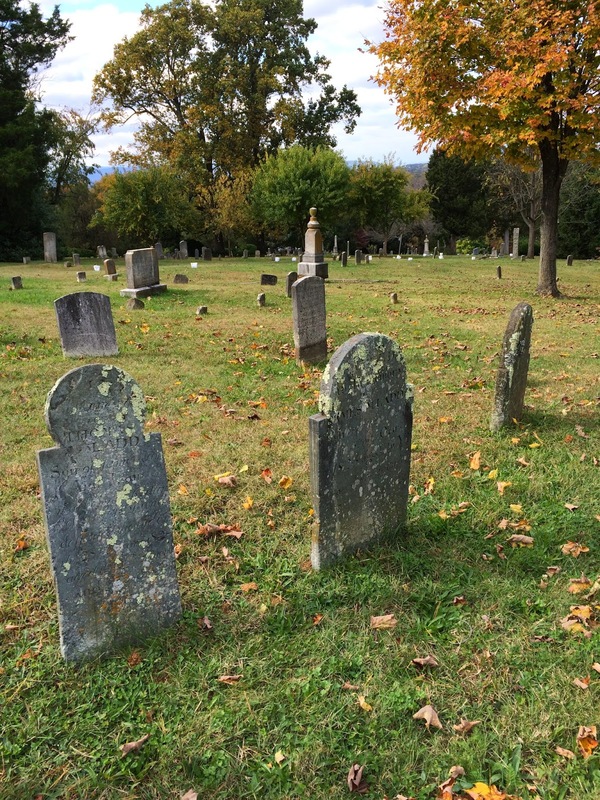 Twenty-nine soldiers who died from smallpox are buried in Old City Cemetery. 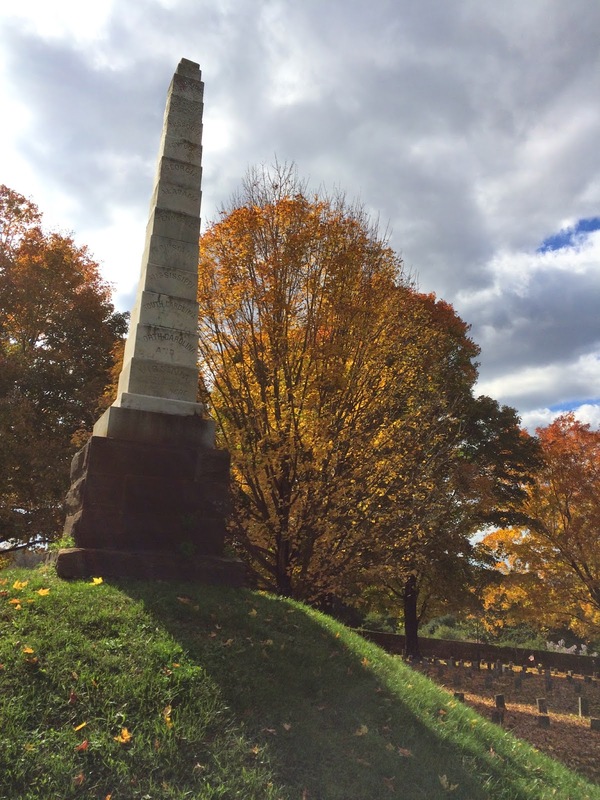 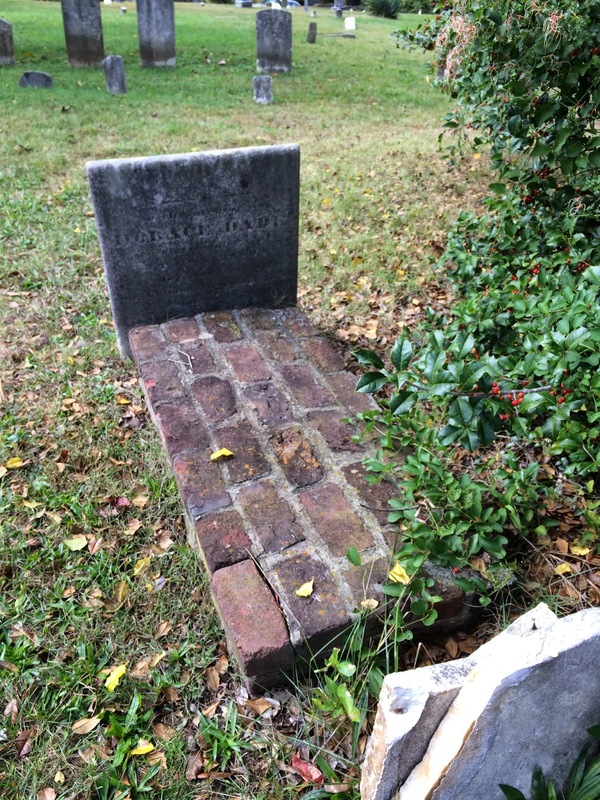 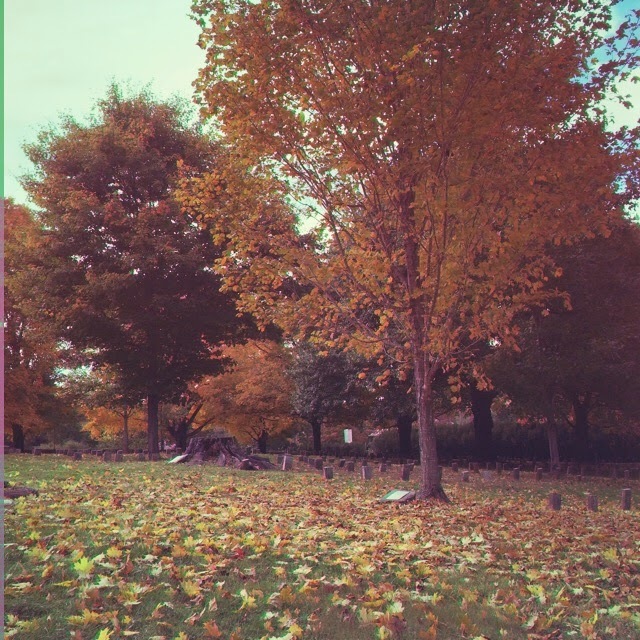 The location of their graves is unknown, but according to the website they are most likely buried in a row towards the far side of the section and in “Yankee Square.” Most of the northern soldiers were buried among the confederate graves. 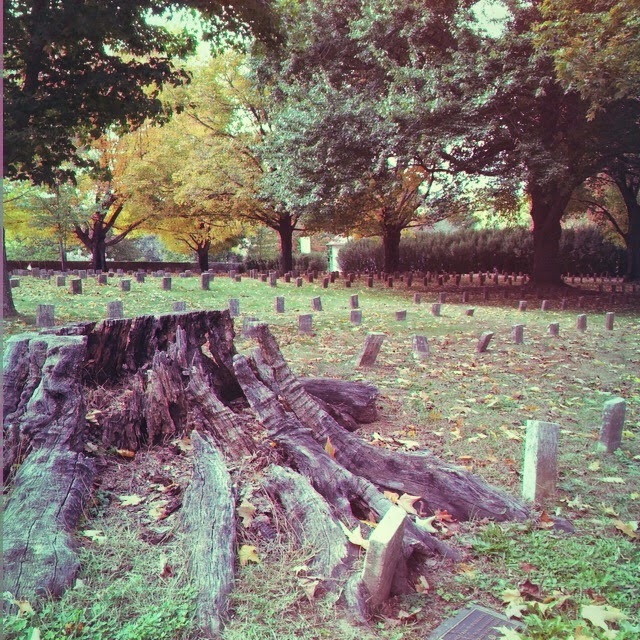 To me, it looks like the roots are “holding hands” with the markers.